One of the largest civil rights movements is currently taking place around the world, with the goal of putting former Chinese regime head Jiang Zemin on trial for his brutal crimes against humanity. As of Dec. 8, over 2.6 million people from 31 countries have signed a petition calling on China’s judicial bodies to prosecute Jiang. According to Minghui.org, a website dedicated to the reporting of first-hand information about the persecution of Falun Gong, over 200,000 Falun Gong practitioners, mostly living in China, have since mid-2015 filed criminal complaints with the regime’s highest court, the Supreme People’s Court, and highest prosecuting body, the Supreme People’s Procuratorate. They accuse Jiang of crimes against humanity and genocide. On Dec. 10, International Human Rights Day, Theresa Chu, a Taiwanese human rights lawyer and coordinator of the petition drive in the Asia-Pacific region, announced the total tally of people around the world who supported bringing Jiang to justice. According to Chu, the petition drive started in July 2015. Signatures have been collected from 31 countries and regions, including France, Germany, Spain, Russia, Belgium, Israel, Ireland, Latvia, Bulgaria, Japan, South Korea, Taiwan, Macau, Hong Kong, Malaysia, Singapore, and Indonesia. The overwhelming majority of the signatures were collected in Asia, with 926,286 from Taiwan, 671,422 from South Korea and 483,360 from Japan. Of the 24 countries in Europe where signatures were collected, Ukraine, Israel, Spain, Germany, Netherlands, and Russia had the most signatures, with at least 10,000 collected in each. 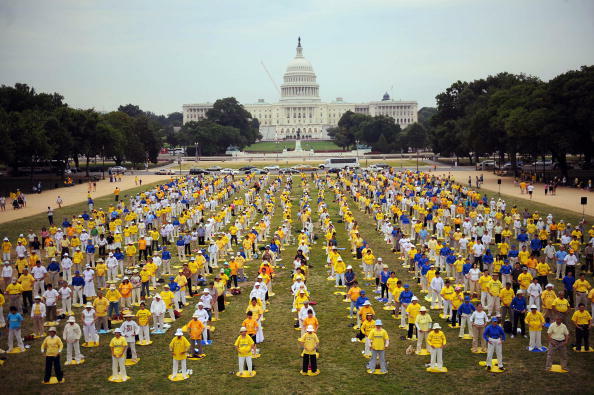 “The genocide-like persecution of Falun Gong in China is still ongoing. 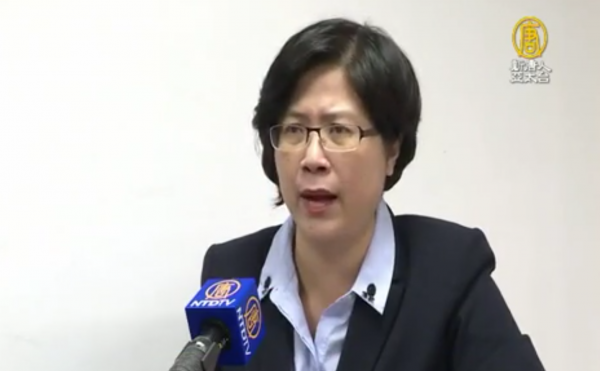 The persecution continues to be severe and has not ended,” said Chu in an interview with the Asia-Pacific branch of New York-based Chinese-language broadcaster New Tang Dynasty Television (NTD). “I believe this is the most ironic, most painful, and most brutal chapter in the history of human rights,” added Chu. The World Organization to Investigate the Persecution of Falun Gong (WOIPFG), a New York-based nonprofit, has compiled a long list of CCP officials for their involvement in the persecution, including former security czar Zhou Yongkang; former Party secretary of Chongqing Bo Xilai; and Li Changchun, the former party secretary of Guangdong Province and the regime’s propaganda chief from 2002-2012. Hu Ping, chief editor of Beijing Spring, a pro-democracy publication run from New York, said he supported the petition drive because it would awaken people’s awareness of the crimes committed by the Chinese regime and put pressure on them, in an interview with The Epoch Times. Jiang, who ruled as head of the Chinese Communist Party (CCP) from 1989 to 2002 and pulled the levers of power behind the scenes from 2002 to 2012, started persecuting Falun Gong practitioners on July 20, 1999. Falun Gong, also known as Falun Dafa, is an ancient spiritual discipline that was introduced to the public in China in 1992. The discipline consists of slow meditative exercises and moral teachings based on the principles of truthfulness, compassion, and tolerance. Jiang believed that the popularity of Falun Gong—a state survey in 1999 estimated that there were more than 70 million adherents, and Falun Gong practitioners say that number topped 100 million—was a threat to the Party’s atheist ideology. Jiang launched a bloody repression, establishing a Gestapo-like office created for the sole purpose of eradicating Falun Gong. The official press office for Falun Gong estimates that millions of practitioners have become victims of harassment, imprisonment, torture, brainwashing, forced labor, and other abuses. In addition, independent researchers report that Falun Gong practitioners are the principal source of organs for China’s extensive organ transplantation industry, killing the practitioners in the process.